Mike Rozman, a professional photographer from West Virginia has a diverse portfolio of photos. The above photos are proof of this diversity. 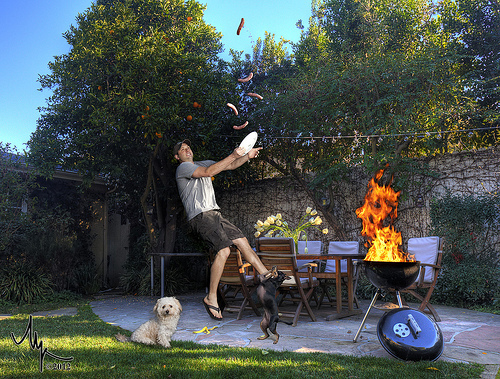 The first photo shows Rozman’s comedic side, as he freezes frames an impossibly hilarious scene of him grilling in his back yard. In contrast, the second photo shows Rozman’s finesse as a photographer, capturing elegant and beautiful natural scenes. I was introduced to Rozman’s work by my friend Victoria, who is actually Rozman’s niece. She was able to give me some commentary over Rozman’s photos based on her knowledge of her uncle. For example, Rozman takes many pictures of his dog, and so I was able to better understand Rozman’s strong bond with his dog. Other than pictures of his dog and home-life, Rozman has taken many vivid, stunning landscape photos of various places. In addition, Rozman’s portfolio is littered with bizarre photos of whacky, unrealistic figures and places. Rozman’s greatest attribute in his photography is his ability to make the viewer feel the emotion of his scenes as if they are there themselves. His photos of people exude the immense emotions of his subjects, sometimes the feeling of immense sadness of utter joy. I admire Rozman’s ability to make it seem like even though I have never met any of his subjects, these strangers are intimate figures, each with their own story and their own personality. At the same time, the travelling the photographer does is another aspect I admire. Going to places I can only dream about and taking such spectacular photos makes the viewer want to go on the same adventure that the photographer went on. Rozman’s portfolio, while varied, shows that the photographer can capture different types of shots of different types of moments. 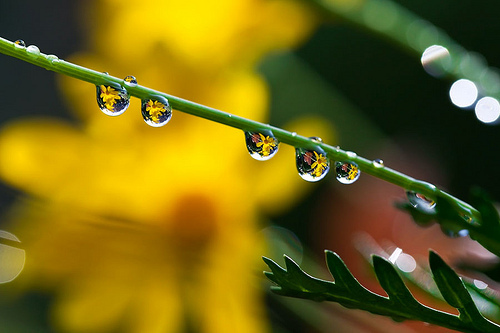 He captures all aspects of life, from the sad, to the spectacular and anything in between.